The mission of the Rallye Motor Company (established in 1958) is to be synonymous with the finest automobiles in the world while achieving renowned success for sales and customer service. Rallye seeks to achieve these goals by continually strengthening our foundations of customer loyalty and the commitment of every member of our staff. 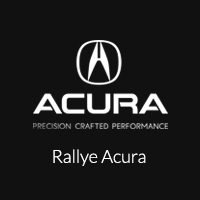 With over sixty years of experience selling and servicing luxury vehicles and home to our large Long Island inventory, Rallye Acura guarantees a first-rate car buying experience. It is our highest priority that you will easily find the vehicle you want at a great price. We recognize the modern-day car buyer is educated and prepared about finding the best deal, and understand that purchasing the vehicle itself can be an intimidating experience. We offer nothing less than a stress-free, no pressure experience. There are no surprises at Rallye Acura – just a completely transparent car-buying process from beginning to end. General Manager Jay Rosenthal leads a professional and efficient team that guarantees a one-of-a-kind dealership experience from beginning to end. We are proud that our team has received the prestigious Precision Team Award 14 times as acknowledgment of our traditions of excellence. Whatever you are looking for, the Rallye Acura team will help you find the right vehicle at the right price. We are proud that we work closely with many local organizations and work hard to make a positive difference in the community. A few of the great organizations we partner with include the American Red Cross, Relay for Life, and the Roslyn Little League. We value our customers not just when buying a vehicle, but long after. Every vehicle is treated in our state-of-the-art authorized Acura service center and with our Acura Accelerated Service, our specially trained technicians will perform a multi-point inspection on every vehicle with a complimentary wash and vacuum. Discover how affordable Acura’s vehicles are at Rallye Acura today. Stop dreaming, start driving.